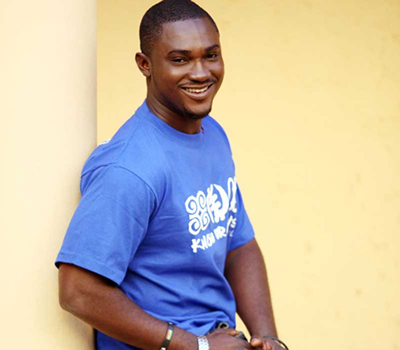 Creator of Higher Life Music, Former Ghanaian Representative to the Big Brother Africa 2 (2007) competition. He was the seventh evictee from the house with 11 out of the 13 votes on Day 70. He was in a relationship with Meryl then with Bertha. Tutu often known as Kwaku T has advised Ghanaian musicians to move out of their comfort zones and explore new territories. The showbiz personality who has been resident in one of Africa’s most established showbiz industries, South Africa, for the past four (4) years in an exclusive interview with NY DJ on RYSENSHYNE disclosed his decision to move out of the country was informed by the urge to “spread his wings” since he felt he had “grown beyond where the industry could take me at that point in time”. Shedding light on what the Ghanaian musician just like the Nigerian whose songs are making waves in South Africa could do to break into the South African market which seems more profitable, Kwaku T disclosed the Ghanaian musician was pretty more like the South African and not ready to look abroad. “Ghanaians are very like South Africans, and in the sense that we get comfortable in our little corner, we have our fans in Ghana so we’re cool and that’s the same for South Africa. They look very within their country as opposed to looking outside". In 2010, he represented Ghana in the BET Hip Hop Awards cypher. Kwaku T is now resident in South Africa with his family and works with Planet Radio and TV. He is readying for the release of a new single ahead of an album.